(Can also be used as table top popcorn heater). Children and Adults love popcorn, it not only tastes good but smells beautiful too, who could resist the sweet smell and taste of popcorn. (Popcorn makes a perfect guilt free snack as it contains virtually no fat at all). Hire Rates Start From £65.00 includes 1 Table Top Popcorn Heater and Cart, 1 bag of pre-prepared Sweet popcorn (2.5kg) serves upto 60 portions, and 60 1oz cartons, cones or bags. *Additional 2.5kg of popcorn and 60 1oz cartons, cones or bags, can be purchased at an additional cost of £35.00. Our Table Top Popcorn Machines and Popcorn Carts are easy to use and we supply everything you need. This is the perfect addition, and extremely popular at any Event including: Film Themed Nights, Hollywood Themed Nights, Birthday parties/Sleepovers, School Fetes, Fundays, Charity Fundraising, Weddings, Private Parties, Promotional-Brand Awareness Functions, Corporate Presentations, Exhibitions and Hospitality Events. *Please note that the above does not include for staff to serve. If you require staff please contact us with your requirements. Children and Adults love the taste and sweet smell of Candy Floss. 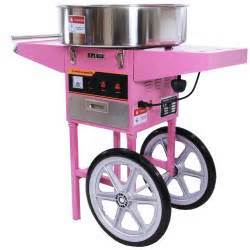 Our Candy Floss Machines and Cart are easy to use, we supply everything you need. ​Hire Rates Start From £70.00 includes the Candy Floss machine and Cart, 75 sticks and candy floss ingredients. *This machine must only be used by responsible adults over the age 18 years old, due to moving and hot parts. Our unique Pop-up Event 'FUN FOODS AND REFRESHMENTS' MARKET STALL, ideal for all Fun Foods including Popcorn, Slush Machine, Candy Floss, Hot and Cold refreshments (Can be adjusted to suit your requirements) staffed or un-Staffed. Can also be used for a variety of other uses such as a promotional stall for your business or organisation, Information hub or PA Hub, or side stall. Hire Rates Start From £70.00 includes 1 Bowl of Strawberry Slush (red) and 1 Bowl of Raspberry Slush (Blue), includes 60 disposable cups and 60 straws. Belvedere Bouncy Castles can provide staff, can also supply your LOGO on the light box which sits on top of the Slush Machines at an additional charge, and different types of fruit slush on request. ​Telephone 0208 310 7516 or 01322 631448 to discuss your requirements.